If you’re a parent of a child with profound learning disabilities, then you should plan in a proper way to secure your child's future. The task is full of challenges and costly when you have to deal with other necessities like costs of special therapies, special education, caregiver, etc. You need to be emotionally strong and plan carefully. Thus, you'll be able to give a better life to your child. According to the experts, proper planning can provide the peace of mind as well as secure the financial future of your child with special need. Some financial planning that you can consider to protect the financial security of a child with special needs. You need to organize a special needs trust to secure your child’s long-term financial life. Save the money that your baby has received as a gift from relatives or friends. A letter of intent helps the court and trustee to understand your feeling toward your child. So, you need to gather all information, including medical history, living arrangements, particular care, and other preferences of your special child in a letter of intent. You can hire a special care planner to figure out the best financial planning as well as healthcare planning of your child with special need. The person will deal with the lawyer, caregiver, and accountant. A legal announcement should be done to protect your child after your death. When you have a child with special need, you should write a will to secure the child’s financial future as well. If you don’t write a will, the probate court judge will grant your child as beneficiary and may consider your child as ineligible for the benefit. Make sure you leave the assets to the special needs trust and not in your child's name. DIY approach will be a blunder when you're creating a will for a child with special need. You need to hire a lawyer who has experience in this field. Find out a lawyer who has already written will for people with special need and has knowledge about the state’s disability laws. You can contact the Academy of Special Needs Planners in your state to get referrals of attorneys. The trustee is an important person, who needs to be mentioned in a will, for a special needs child. The trustee will manage the special needs trust after your death. You can choose a family member, a close friend, a professional, and a lawyer as a trustee for your child. The trustee will monitor all the money related issues and will follow the instructions that you’ve mentioned in the will. Personal savings play an important role when you have a child with special need. You need to build a good saving to meet the costly therapies. So, start saving a certain amount of money each month. Remember, you have to pay well to the advocate and the person who gives special education to your child. So, you should build financial backup to avoid future monetary worries. You need to mention a guardian in the will who will take care of your child after your death. Make sure the person (guardian) knows about your child’s needs and can take good care of him/her. Name a guardian for your child who is committed, has good patience level, knowledgeable, and has quality to deal with regular responsibilities of raising a child with special need. Make sure you ask the person before mentioning his/her name as your child’s guardian in the will. A special needs child can get several benefits such as Medicare and The state’s children’s health insurance program. The child have to meet the criteria established by the government. If your earning is good, your special needs child will not qualify for federal benefits. A child should be disabled and have certain resources to become eligible for SSI. 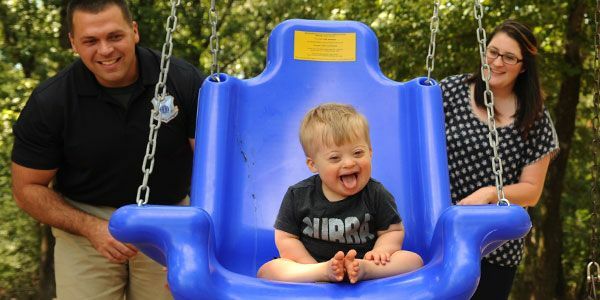 You may face many challenges while living with a child with special need. You have to keep patience and understand your child’s need. You have to talk with the other members of your family as well. Ask them not to give any gift in your child’s name. Explain the reason why they can’t leave any inheritance to your child in their will. Tell them to mention the special needs trust as the beneficiary. Thus, your child can get the benefit in the long run.